On the theme of “Smart+ benefiting the world”, the 2017 SINOCES is going to be held from September 22nd to 25th in Qingdao International Exhibition Center. As the reporter got to know from Municipal Bureau of Commerce yesterday, six special exhibition grounds have been set up in SINCOES 2017, expect smart home, 3D printing and intelligent robots and virtual reality had built in 2016, other three special grounds including intelligent security, e-sports and big data and cloud computing have been set up this year, which provides a newest tech platform for consumer electronics enterprises, purchasers and consumers all around the world. Some experts pointed out that the new industrial revolution is accelerating rising with core of internet technology, which makes great impact on innovative model and economic form. SINOCES has been keen aware of grasping the newest development of the global industry so as to establish six special grounds that indicates right direction for reform and upgrading of worldwide consumer electronics industry. Smart home has become development trend in the future. According to McKinsey’s To Stimulate the Potential of Web of Things report, smart home output value in 2025 will reach 200 billion to 350 billion US dollars.2017SINOCES continues to establish smart home exhibition, focus on displaying household electrical appliance enterprises’ innovation breakthroughs and efforts under the impact of intelligent and information technology, to drive the smart home industry to the market. With the continuous improvement of supportive policy and the promotion of industrialization to speed up, 3D printing market size in recent years have maintained a high growth rate, changing from the concept stage to the application stage. 2017SINOCES will host the second 3D printing festival; at the same time invite more than 100 domestic and foreign manufacturers of 3D printers and downstream service enterprises to participate in to rapidly promote 3D printing industry into market. With the development of big data, visible calculation, human-computer interaction, digital perception and the newest display technology, VR is setting a new wave on a global scale. According to forecasts, by 2020 the virtual reality industry market size will reach 30 billion US dollars. What’s more, in the next five years compound annual growth rate may reach more than 100%.2017SINOCES will attract many domestic and foreign IT giants to take part in the exhibition and a new visible revolution is coming. 2016 China Game Industry Report shows that China's gaming users have reached 124 million people which brought the total output value of 26.91 billion yuan. At the same time under the strong support of national policy, from 2017 onwards, China's gaming industry is booming development.2017SINOCES will showcase all kinds of e-sports hardware and equipment, software systems, gaming development operations and promote solutions, while invite first-class service providers and investors and professional players to come to the exhibition. You don’t want to miss this fantastic exhibition. Driven by the gradual expansion of smart city, high definition intellectual accelerating penetrate and the rise of the civilian and operational markets, the security industry is embracing a new cycle of prosperity, and the smart security market is rapidly expanding.2016 China's security market size was 540 billion yuan, by 2020, the total security business income is about to reach 800 billion yuan.2017SINOCES establishes intelligent security ground what will attract domestic and international intelligent security enterprises to join and to promote safe city, smart city construction. At present, big data has become one of the most attractive hot areas in technology industry besides web of things and cloud computing.2017 global large data market is expected to reach 71.2 billion US dollars and 2021 global large data market size will reach 284.7 billion US dollars.2017SINOCES will work with professions to discuss the future and development of large data and cloud computing industry, show the latest achievements in the field of large data industry, boost healthy development of large data industry, improve their scientific and technological exchanges, cooperation and market development. According to SINOCES relevant person in charge revealed, in the six major exhibition area, users can see including UAV, smart family, large data / cloud computing, VR / AR / MR, artificial intelligence, intelligent hardware, 3D printing, mobile Internet in total of 8 categories of the latest products and cutting edge trends. Exhibitors can communicate with more than 30 foreign groups, more than 5,000 foreign businessmen, experts and industry leaders and get wonderful reports from more than 200 domestic and foreign media and over 300 journalists. Approved by the State Council of the People’s Republic of China, China International Consumer Electronics Show (SINOCES) is the only international and professional consumer electronics exhibition. It is hosted by Ministry of Commerce, P.R. China, Ministry of Science and Technology, P.R. China and Shandong Provincial People’s Government, P.R. China, supported by Ministry of Industry and Information Technology, P.R. 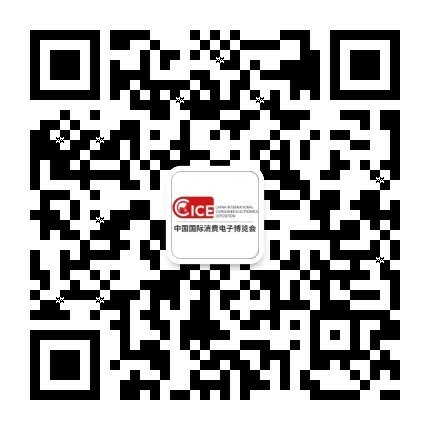 China and organized by China Chamber of Commerce for Import and Export of Machinery & Electronic Products, Chinese Institute of Electronics and Qingdao Municipal People’s Government. 2017 SINOCES continues to deepen the "Internet +”rule to achieve to host an international consumer electronics exhibition with all-round technology leading, industrial innovation and profession focusing.